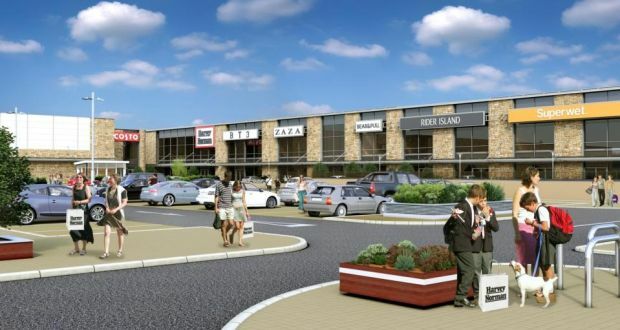 Giant retailer Harvey Norman is to open a substantial new store now under construction as part of the second phase of the Gateway Retail Park in Knocknacarra, Galway. Australia’s leading retailer, specialising in computers, technology, electrical goods, furniture and bedroom fittings, is to rent the 5,574sq m (60,000sq ft) flagship store in the thriving park, which was acquired in 2016 by Sigma Retail Partners on behalf of Oaktree Capital. The new store will form part of a 11,612sq m (125,000sq ft) extension, bringing the overall retail space to more than 30,192sq m (325,000sq ft). The planned extension will be the first large-scale retail space to be completed outside Dublin since 2008 and the first in Galway for more than two decades. When completed, the new retail facilities will provide more than 300 permanent and part-time jobs in Galway. Harvey Norman plans to trade over two levels after agreeing an annual rent believed to be about €900,000. Gateway’s line-up of tenants also includes Dunnes Stores, B&Q, New Look and Next. According to letting agent Bannon, signing Harvey Norman as anchor tenant highlights the undoubted appeal of the centre and its mix of tenants. Bannon is also due to announce the identity of a second international trader, which has agreed rental terms on another store extending to 650sq m (7,000sq ft). In addition to Harvey Norman, the second phase of the retail park will have up to six new open-use retail units and four food and beverage outlets. Darren Peavoy of Bannon said the interest in the available shops was hardly surprising given the absence of new trading facilities in Galway and the fact that new outlets in Gateway Park could be used for fashion and other choices. Blaine Callard, Harvey Norman’s Irish chief executive, said the Irish business had great momentum right now and the addition of the huge showcase store in Galway would be an exciting addition to the network. Marcus Wren of Sigma said a huge amount of work had been put into planning the new extension to the retail park. He added that Galway City Council had been extremely proactive in bringing this long-awaited development to reality.